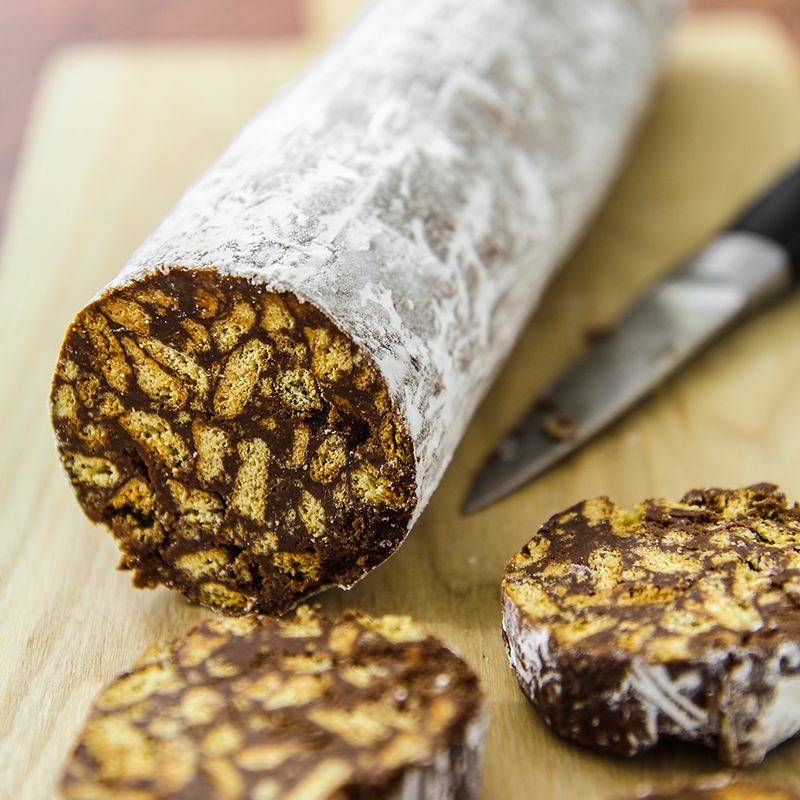 Chocolate salami is the traditional Italian dessert most loved by children. Just saying the name brings me back to childhood: it was my favorite snack! 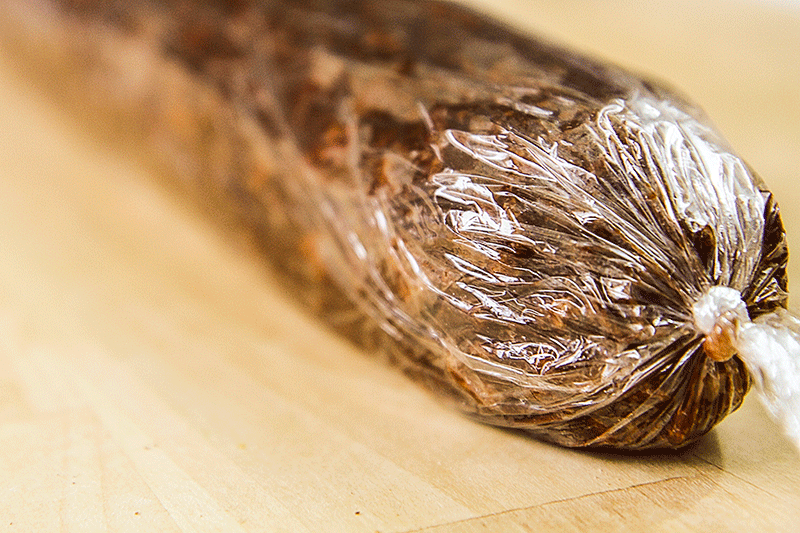 Preparing the chocolate salami is very simple, the ingredients are few, easy to find, and does not require cooking. To increase the realism, sprinkle the chocolate salami with powdered sugar. It will resemble classic Italian salami and it will be difficult to distinguish from a real one! To prepare the mixture for chocolate salami we will need the butter cream: to prepare it, cut the butter into cubes and let’s leave the butter out of the refrigerator for about 1 hour. Then mix with a spatula until the butter will be creamy, smooth, and homogeneous: similar, in fact, to a ointment. 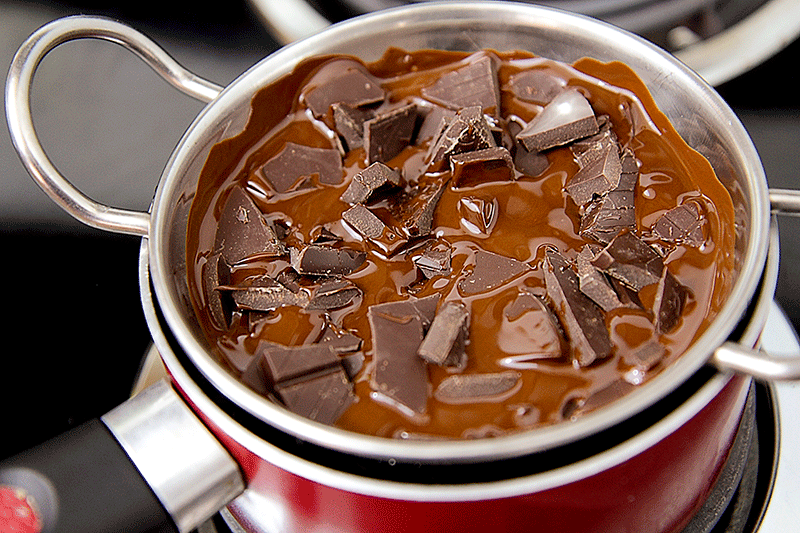 Cut coarsely the cocoa bar and heat bain-marie (put it in a heatproof bowl. Place the bowl over a pan full of simmering water). 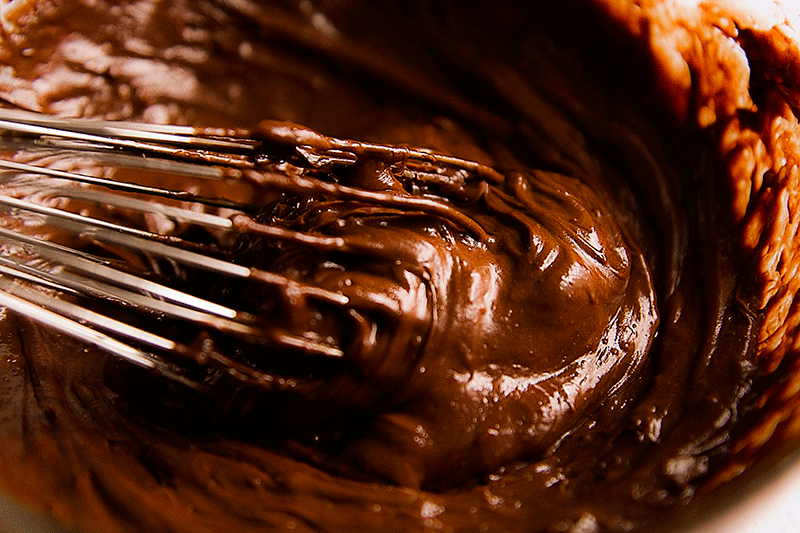 Heat the cocoa until it is completely melted, then put it aside and let it cool. 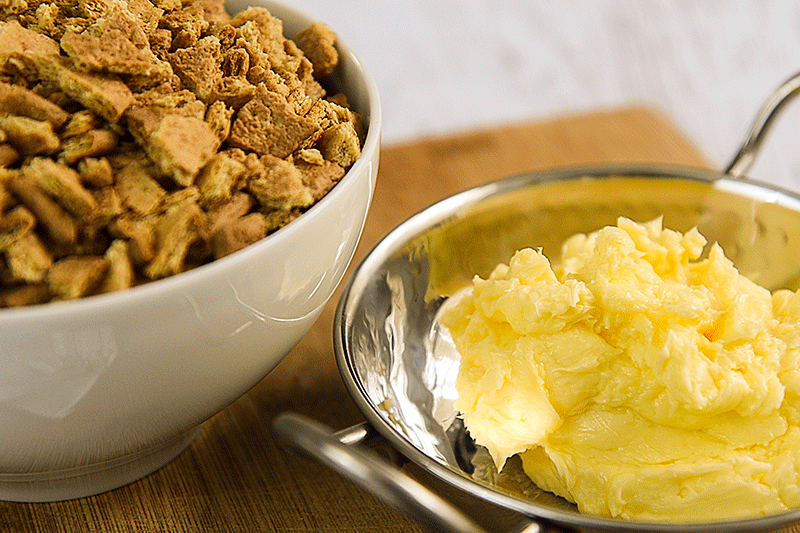 Meanwhile Cut coarsely the biscuits into small pieces. 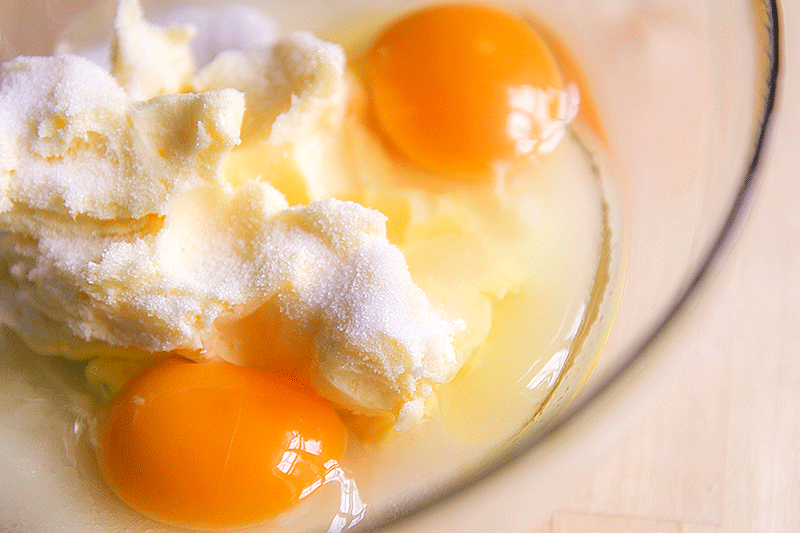 Now, mix butter cream with the sugar and eggs (preferably pasteurized to avoid any risk of foodborne illness), then add the melted chocolate mixture still lightly warm, stirring well. Finally, add the chopped cookies and mix everything very well. 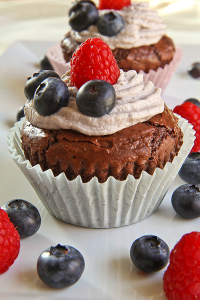 Once the mixture is ready, spread out it on a sheet of wax paper and compose an oblong shape with a little pressure to compact everything. Now, transfer our chocolate salami on a sheet of plastic wrap with which envelop it very tight, knotting the ends to keep it in shape. Transfer the salami into the fridge until it will become hard and compact: It will take 1-2 hours, depending on the temperature of the fridge. When the sausage is ready, discard the plastic wrap and sprinkle the surface with sift powered sugar. Eliminate the excess of sugar by wiping gently with your hands: in this way it will be difficult to distinguish from a real salami! Cut and serve the salami, will be great for any time of day. It is possible conserve the chocolate salami in the fridge for a couple of days, or freeze for a few weeks; in the latter case sprinkle with powered sugar only just before serving. 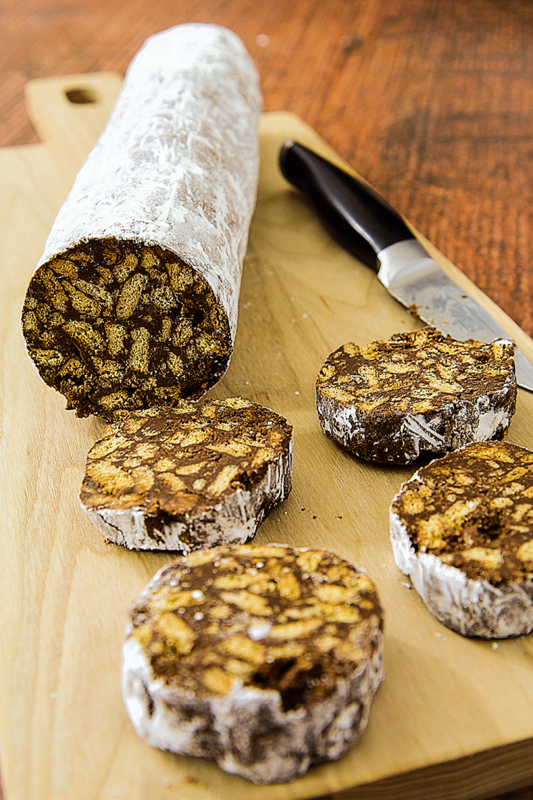 Chocolate salami is the traditional Italian dessert most loved by children. Just saying the name brings me back to childhood: it was my favorite snack! 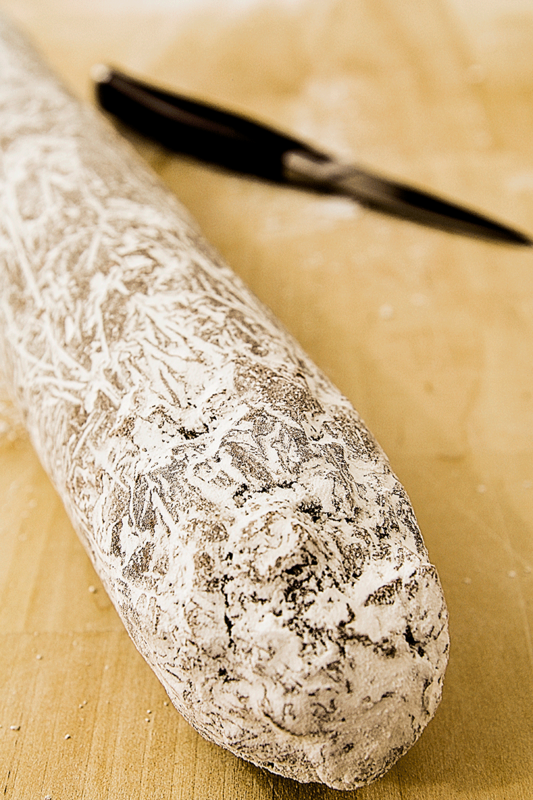 Preparing the chocolate salami is very simple, the ingredients are few, easy to find, and does not require cooking. To increase the realism, sprinkle the chocolate salami with powdered sugar. It will resemble classic Italian salami and it will be difficult to distinguish from a real one! 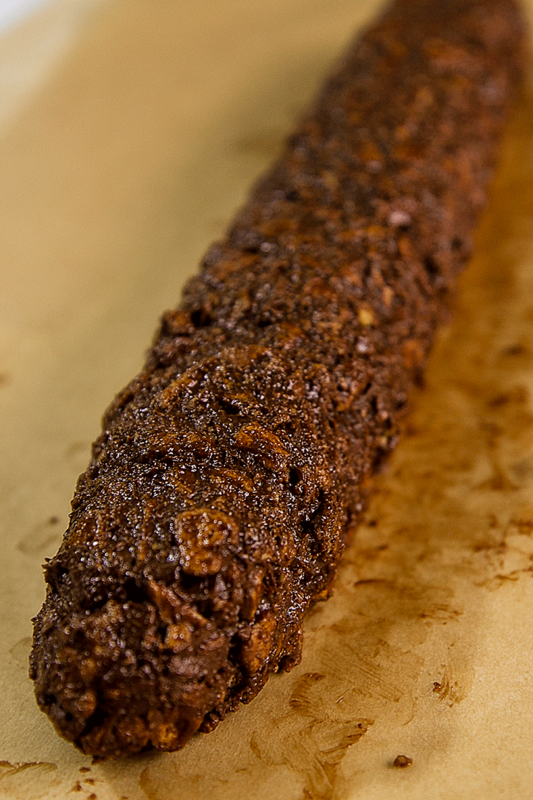 chocolate salami. To prepare the mixture for chocolate salami we will need the butter cream: to prepare it, cut the butter into cubes and let's leave the butter out of the refrigerator for about 1 hour. Then mix with a spatula until the butter will be creamy, smooth, and homogeneous: similar, in fact, to a ointment. 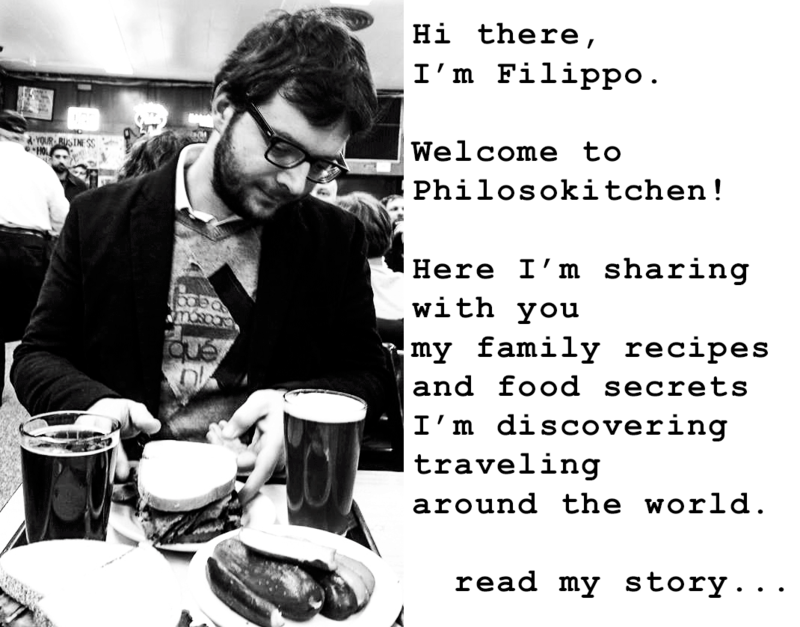 Ciao, Filippo! This looks incredible, and I’m excited to discover your blog. I live in Cleveland, and my mother is from Napoli. My in-laws are from Calabria. I’m looking forward to reading your recipes! Thank you Andrea, Keep in touch!